The Madison County Sheriff's Office said that the Florida murder suspect Steven Brooks who was in a standoff with authorities on Wednesday night in Harvest was killed by police following a pursuit in Washington County, Pennsylvania. Officials believe 45-year-old Steven Brooks, was hiding in a wooded area near the Madison and Limestone County line. A standoff and police chase led to a massive manhunt that spanned many hours Wednesday into Thursday. An overnight patrol supervisor was notified that a stolen vehicle from Limestone County had been located in South Strabane, Pennsylvania and that the driver was deceased after an officer-involved shooting with Pennsylvania State Troopers. Investigators confirmed that the subject was Steven Brooks. 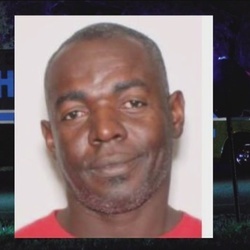 Investigators say Pinellas Park police confirmed that homicide suspect Siddeeq Ma'Shooq (Steven Brooks) was located overnight in a stolen truck in Washington County, Pennsylvania. Investigators say Ma'Shooq led law enforcement on a pursuit, that ended in an officer-involved shooting.